data center, network and voice services. 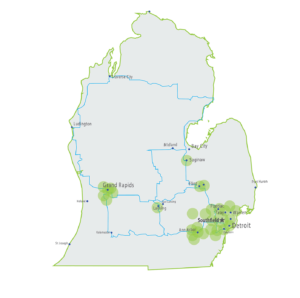 Largest Private Data Center Services in Michigan. Providing High Capacity Dedicated Internet, Dark Fiber, Fiber & Fixed Wireless Services. FEATURE-RICH TECHNOLOGY DEVELOPED BY LEADING INDUSTRY ENGINEERING. “We were utilizing four different companies for PRI in our data center and it was costing us a lot of money. 123Net fulfilled and consolidated our needs to just one company. I’ve had a great experience so far, the staff is knowledgeable and I love the customer service. Carol in particular is a phenomenal asset who is always on top of things. I highly recommend 123Net to others in my situation.” –Kyle M.